(but really you can incorporate these ideas anytime). Just like I go through my house and get rid of stuff that I don't need or love, I like to bring this same philosophy to my class in the new year. You're almost halfway through the school year so take a look at what's working and what's not working and change things up. 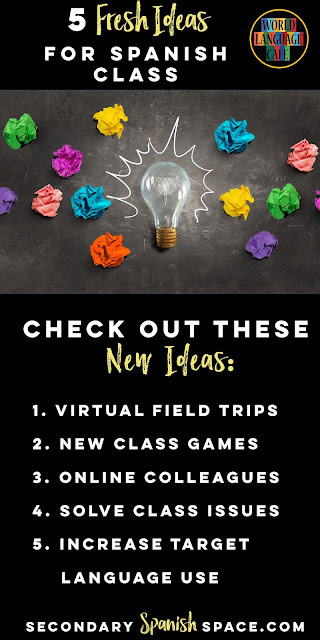 This blog post will give you 5 fresh ideas and hopefully some new tools for your teacher tool kit to spice up your classroom and make teaching more fun for you and your students. All year long, we teach reading, writing, speaking, listening, and grammar, but how often do we teach culture? Culture is fascinating to your students - they love learning about life in other parts of the world. A man brings books on his burro to educate Colombian communities. Click here for more ideas about how to use these types of videos in your classroom. If you're looking for Spanish video clips, I've collected 101 videos for all of the Hispanic countries. Now that's a lot of culture! This game works best with large lists of vocabulary that can be drawn (ex. foods). Assign each student 1-2 pictures of vocabulary words to draw or find pictures of online (or just use flashcards that you already have). Students paste or draw the pictures on index cards or cardstock. Bring in a few medium-sized squishy balls. Pass out 1-2 vocabulary cards to each student. Divide the students into 2-3 groups, 8-10 students per group. In each group, one person will be "it" and start with the ball. The other students form a circle around the person with the ball and hold their pictures out in front of them for everyone to see. Make sure that each person knows how to say his/her vocabulary word. The game starts when one of the students in the circle says the vocabulary word on someone else's card. That person must then say the vocabulary word on another person's card before the person who is "it" tags them with the ball. Ex. Student A starts the game and says, "fresa". The person holding "fresa" (Student B) must say another vocab word before the person with the ball tags him/her. So Student B could say, "plátano", and then the student holding that card must say another vocab word from the cards in the circle. The chosen person cannot immediately go back to the person who chose him/her; they must choose someone else. Ex. The person holding "plátano", can't say, "fresa". 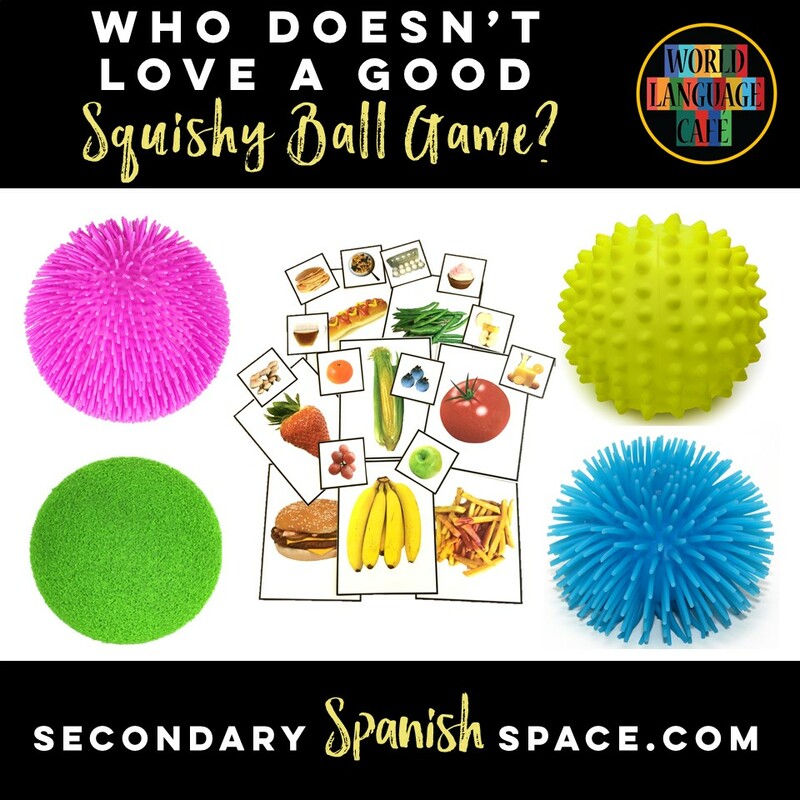 After the students are really good with one set of vocabulary, have them switch sets with another group. Split the students into pairs or groups of 3. One person says what they are doing and the other person has to do it. * Person A thinks of something he is doing and responds, “I’m brushing my teeth”. * Person B pretends to brush his teeth. * Person B (while still brushing his teeth), has to think of something he is doing and respond. Ex. I’m walking my dog, Fido, and whistling. * Person A pretends to walk his dog and whistle. * Person B asks, "What are you doing?" again. This continues for as long as possible. When someone can no longer think of something to say, the other person wins. After they are used to the format, encourage your students to say silly sentences. Ex. I’m washing my belly button. I’m eating my homework. I’m singing my favorite song in Spanish, etc. Advanced Variation: Have students create longer sentences. Ex. I’m brushing my teeth because I ate lots of garlic. Ex. I’m brushing my teeth while I’m driving my car to school. Ex. I’m brushing my teeth and painting my toenails green. Click here for 48 more game ideas. 3. 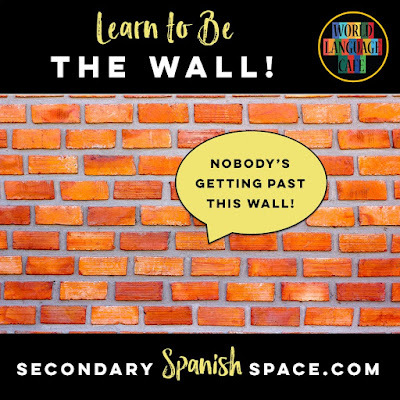 Tired of Your Colleagues (or Don't Have Any Because You're the Only Spanish Teacher)? Okay, okay, I'm kind of kidding with this one. I'm sure some of you have great colleagues, but wouldn't it be cool to have colleagues from all over the country with lots of new ideas and teaching tips (who won't take anything personally or judge you). Share your ideas, classroom woes, or teacher humor in our online teachers' lounge Facebook group. 4. Have a Problem in Your Class? Create a Plan to Solve It. Pick one behavior in your class that you'd like to extinguish over the next 6 weeks. That's right, just one. So many times, we focus on changing too many things at once and then are successful at none of them. Our poor little brains can't handle too much change at once. Come up with a game plan of how you will react when you see that behavior in class. Brainstorm possible solutions with other teachers or with your new online colleagues. Make sure you know exactly what you will do when you see that behavior and be consistent each time. Once students learn that they will get the same response every time, they will be less likely to repeat the behavior because now you have provided a clear boundary for them. 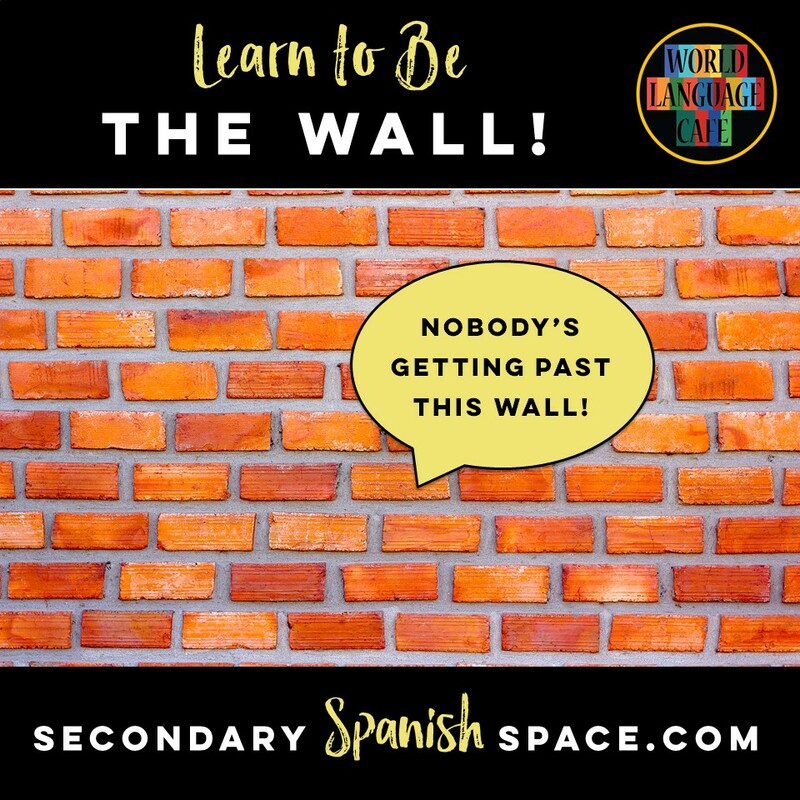 Be the wall! You can push the wall, hit the wall, and it always has the same response, so pretty soon you stop doing those things because you respect the wall. Be the wall! Read more details about how to make big moves via small changes here. Write a word on the board at the beginning of the period. Any time you hear ANY English, erase a letter. If the class has any letters left at the end of the period, they each get an extra point on the next test. Start with a really long word like Tegucigalpa and shorten the word as they get better or lengthen the amount of time that it must stay up. (Idea from Angie Torre). Each student gets a clothespin to attach to their clothing at the beginning of class. When Student A catches another Student B speaking English, Student A takes Student B's clothespin. 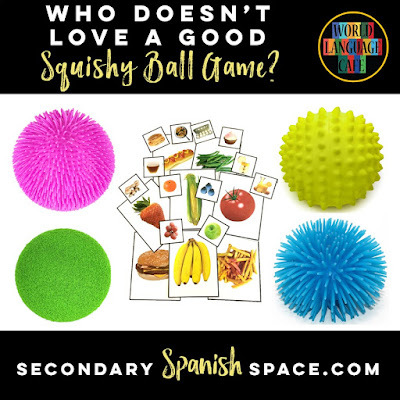 See 18 more ideas for getting your students to speak in the target language here. 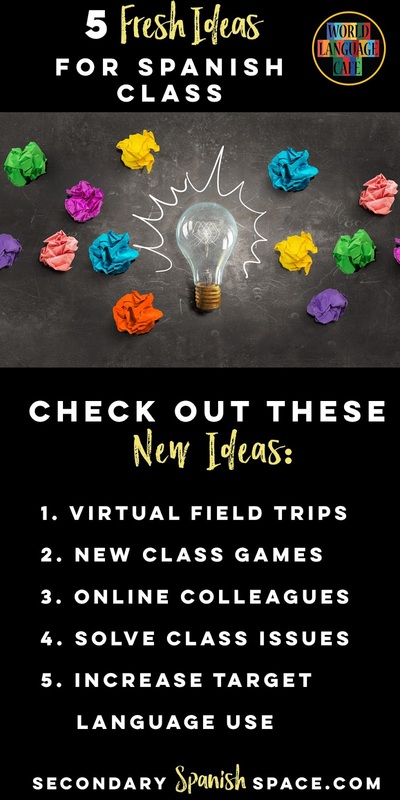 Hope you enjoyed these ideas and that they inspire you to try something new this year. If you have any questions, I'm always up for chatting via email at: worldlanguagecafe@gmail.com.